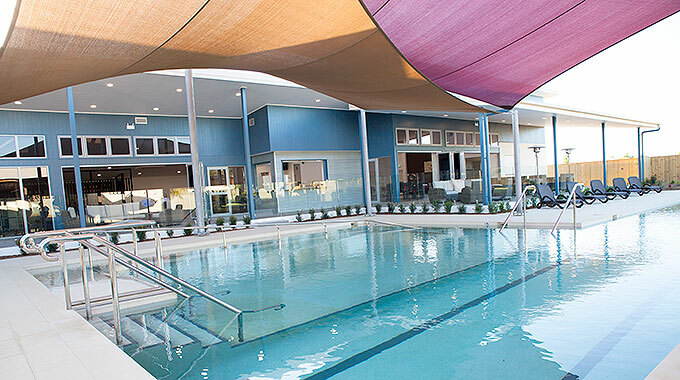 Savannah Lifestyle Resorts is delighted to have opened its highly anticipated Clubhouse in 2018. The completion of this project shows Savannah Lifestyle Resorts is moving ahead in leaps and bounds! This well appointed facility dedicates itself to making our residents and their guests happy at all times. With an array of day to day activities available for our residents, our modern Clubhouse designs itself to a relaxed lifestyle. Residents can enjoy a drink from the bar or coffee station on the entertainment deck overlooking the resort pool or enjoy reading in peaceful surrounds of the Library/Computer Room. Our clubhouse also facilitates a games room with pool table and Foxtel, commercial size kitchen, dance floor and lounge area. At Savannah Lifestyle Resorts we truly believe living here is the best days of your life!